Figs Fort Smith! 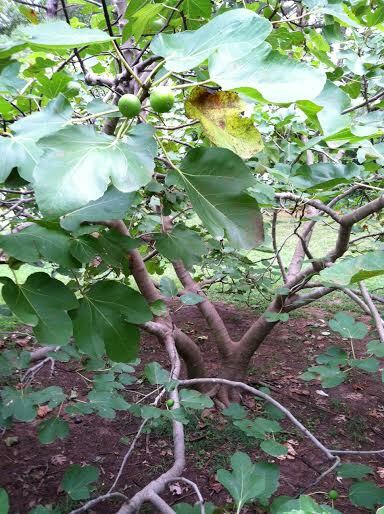 : Green Ischia Fig Ranks High In Fort Smith! 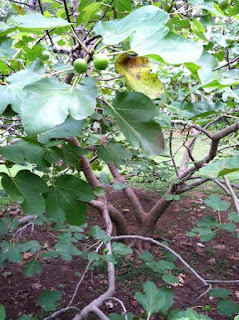 Green Ischia Fig Ranks High In Fort Smith! 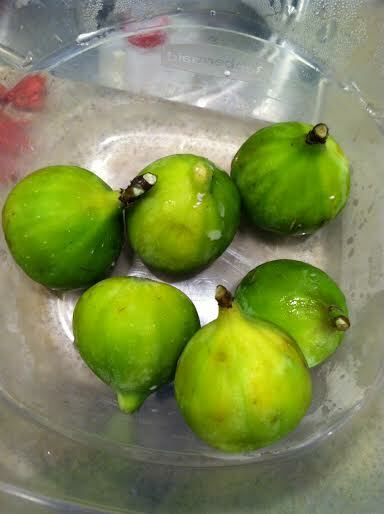 Highlighting this post is the Fig variety, Green Ischia. It comes to us from a fantastic couple and new fig friends, Barbee and Keith from Fort Smith! 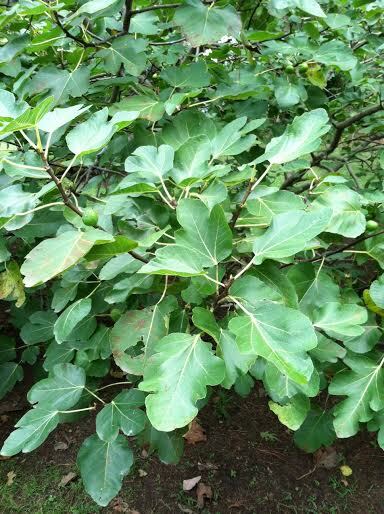 This tree is 6-8 years of age and has had minimal winter protection of some hay around the roots some winters. It is completely open to the North wind. 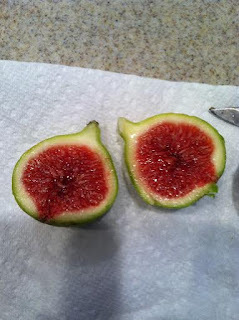 This fig is as delicious as it looks, one of the best we've tasted! 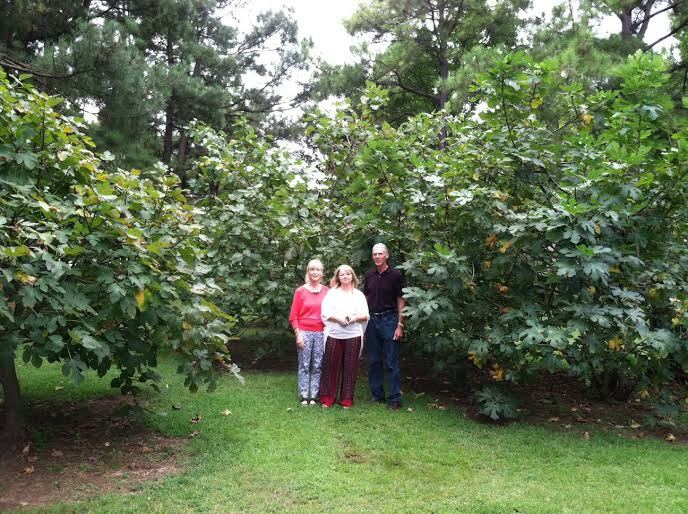 For size comparison, here we see our awesome hosts, along with my wife Mitzy in the middle, standing among the fig trees. Brown Turkey on the left, Green Ischia behind Barbee and Hardy Chicago to the right of Keith. 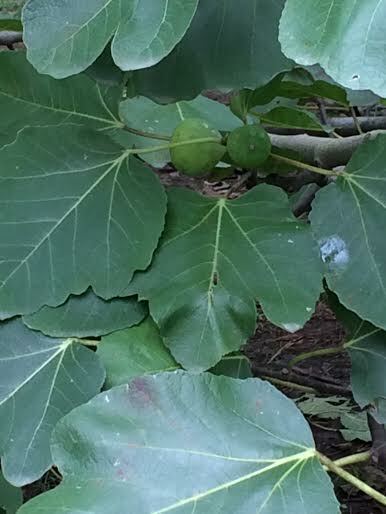 All three, very cold hardy varieties of fig for our area. 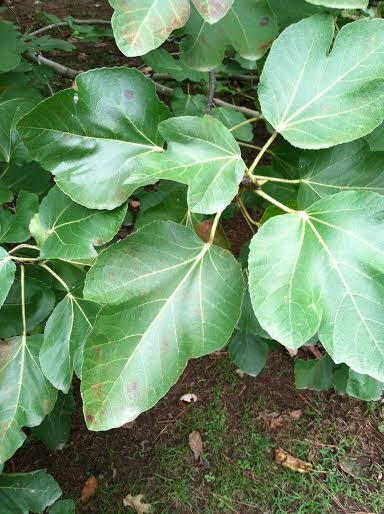 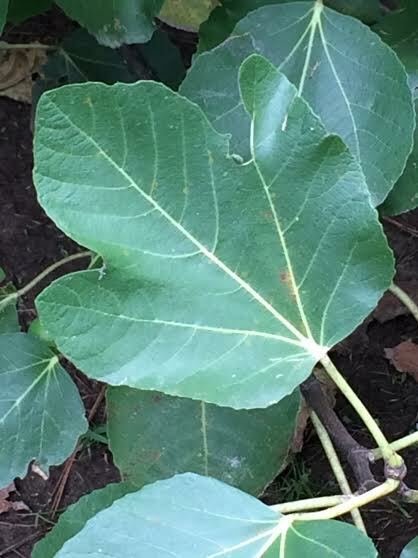 These are among the largest and healthiest of fig trees we have seen in person and thank Barbee and Keith for sharing with us!